Nothing can be done except little by little, the French poet Baudelaire Charles once said. Most people, however, often ignore such a truth. So does the little boy shown in the picture. He expresses his worries to his father about disposing of nuclear waste, but is told that he can achieve nothing if he doesn’t empty the dustbin first. Every single little thing you can do today matters. The truth has been tested for ages, and thousands of great people have set good examples for us. For instance, Leonardo da Vinci, the world-renowned master in painting, starts his career with repeated egg-drawing. Lu Xun, the great man of letters, reminded himself to get up early by inscribing the character “morning” on his desk. As university students, in my opinion, we should aim high, but at the same time, we shall never measure a task by its size. All in all, only those who have the patience to do simple things perfectly will acquire the skill to do difficult things easily. But there are a few pilot schools already making the transition（过渡）over to digital books. Universities like Cornell and Brown have jumped onboard. And one medical program at the University of California, Irvine, gave their entire class iPads with which to download textbooks just last year. But a new application called Inkling might change all that. The company just released an updated version last week, and it’ll be utilized in over 50 undergraduate and graduate classrooms this coming school year. He calls Inkling a platform for publishers to build rich multimedia content from the ground up, with a heavy emphasis on real-world functionality. The traditional textbook merely serves as a skeleton. At first glance Inkling is an impressive experience. After swiping（敲击）into the iPad app (应用软件 ), which you can get for free here, he opens up a few different types of textbooks. Next he pulls up a music composition textbook, complete with playable demos. It’s a learning experience that attacks you from multiple sensory directions. It’s clear why this would be something a music major would love. But the most exciting part about Inkling, to me, is its notation（批注）system. Here’s how it works! When you purchase a used print book, it comes with its previous owner’s highlights and notes in the margins. It uses the experience of someone who already went through the class to help improve your reading (how much you trust each notation is obviously up to you). But with lnkling, you can highlight a piece of content and make notes. Here’s where things get interesting, though: If a particularly important passage is highlighted by multiple lnkling users, that information is stored on the cloud and is available for anyone reading the same textbook to come across. That means users have access to notes from not only their classmates and Facebook friends, but anyone who purchased the book across the country. The best comments are then sorted democratically by a voting system, meaning that your social learning experience is shared with the best and brightest thinkers. 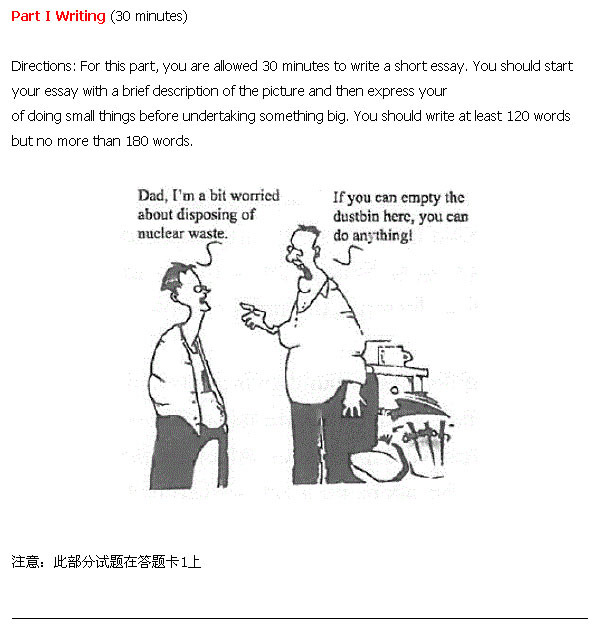 As a bonus, professors can even chime in (插话 ) on discussions. They’ll be able to answer the questions of students who are in their class directly via the interactive book. Of course, Inkling addresses several of the other shortcomings in traditional print as well. Textbook versions are constanly updated, motivating publishers by minimizing production costs (the big ones like McGraw-Hill are already onboard). Furthermore, students will be able to purchase sections of the text instead of buying the whole thing, with individual chapters costing as little as $2.99. “It takes efforts to build each book,” Maclnnis tells me. And it’s clear why. Each interactive textbook is a media-heavy experience built from the ground up, and you can tell that it takes a respectable amount of manpower to put together each one. For now the app is also iPad-exclusive, and though a few of these educational institutions are giving the hardware away for free, for other students who don’t have such a luxury it’s an added layer of cost — and an expensive one at that. But this much is clear. The traditional textbook model is and has been broken for quite some time. Whether digitally interactive ones like Inkling actually take off or not remains to be seen, and we probably won’t have a definite answer for the next few years. However the solution to any problem begins with a step in a direction. And at least for now, that hazy mirage in the distance? A little more tangible (可触摸的 ), a little less of a dream. Directions: in this section you will hear 8 short conversations, one or more questions will be asked about what was said. Both the conversation and the questions will be spoken only once. After each question there will be a pause. During the pause, you must read the four choices marked A)、B）、C）and D)、and decide which is the best answer. Then mark the corresponding letter on Answer sheet 2 with a single line through the centre. A. The woman is the manager’s secretary. C. The man is the manager’s business associate. A. He needs more time for the report. A. A friend from New York..
A. She is not available until the end of next week..
B. She is not reliable source of information. A. He will help the woman carry the suitcase. B. The woman’s watch is twenty minutes fast. C. The woman shouldn’t make such a big fuss.